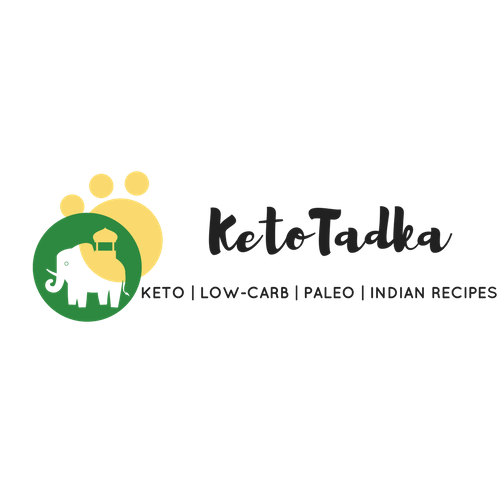 Here is the Keto Shrimp recipe for you all ! 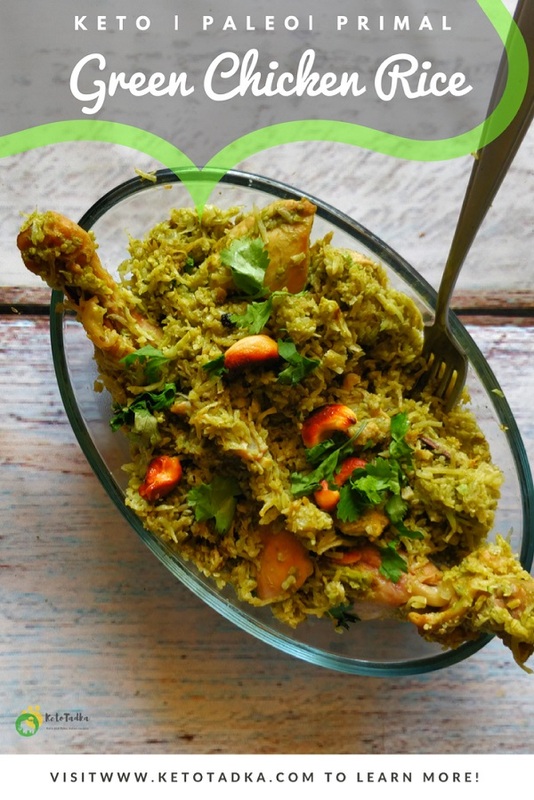 This is more like a Cauliflower biryani, just without the extra time and ingredients too ! Also, just FYI, there are lot of Keto Shrimp recipes coming up ! 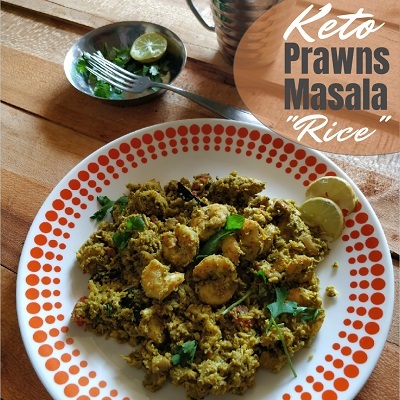 Keto Prawns masala rice is a classic way to make prawns. I found this extremely tasty as it had the perfect texture of being little soft (yeah this rice won’t be exactly separated) and the prawns were perfectly cooked too. Often in any Prawns rice recipe,the prawns end up being overcooked and that is what I hate about some dishes. But, in a way , we are blessed as we don’t have to cook cauliflower for too long as the traditional rice. Another reason to ditch those carbs ? Hell yeah ! Why do you need Shrimp in your life ? Second of all, it takes less than 15 minutes of your time. 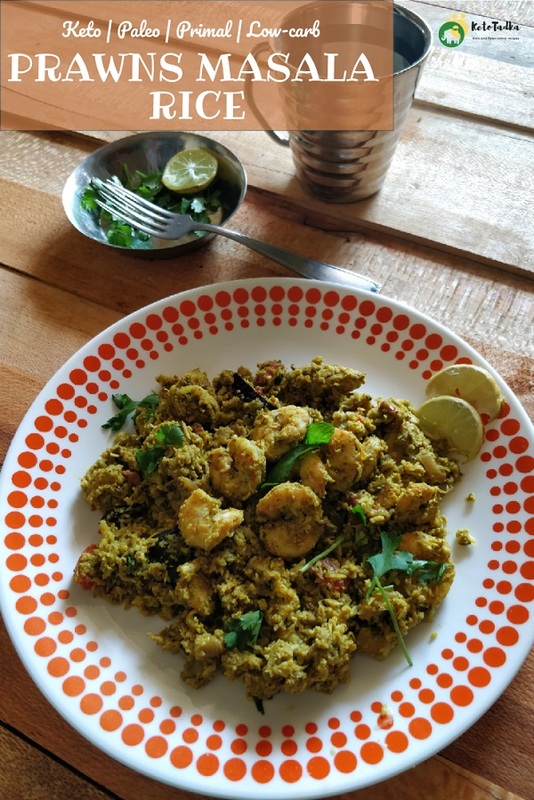 Keto Shrimp fried rice was the most requested video for me by the viewers but I decided to post this first because I think the shrimp goes well with Indian flavours than the Indo-Chineese flavours ? This is my personal opinion and I might be wrong but this recipe won’t disappoint you for sure 🙂 You must really try this keto shrimp recipe ! 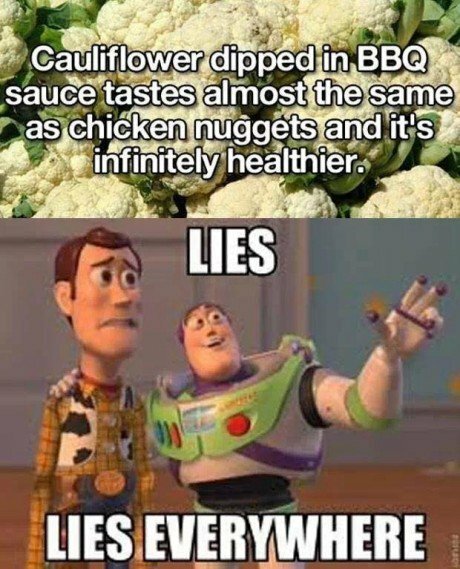 Want the Cauliflower to taste magically as not cauliflower ? Read more..
Firstly, let us all agree it is Cauliflower and not rice. Let’s us just sit there and accept it once and for all ! See what I am saying ?? 🙂 Cauliflower is well, cauliflower but I come up with awesome recipes to kick off that smell. The idea is to spice it up, play with some flavours and cook it at a right consistency. 1.5 tsp salt or as per taste . Take all the ingredients of the green paste and grind until smooth. Do no use much water . Take fresh de-veined prawns in a bowl. Add all the things required for marination and mix well. Keep it in the refrigerator for 45 minutes- 2 hours. Keep the kadhai on medium high flame. Melt the ghee and add the whole spices. When the spices leave aroma, add the onion. Keep turning the onion till it is translucent. Add the tomatoes and cook till mushy. Add the Green paste and cook for 5 minutes. Add the prawns and the riced cauliflower and give it a good mix. Add the coconut milk, mix well and cover for 10 minutes. Open the lid. The rice and prawns leaves water. Let the water evaporate, takes 5-7 minutes. 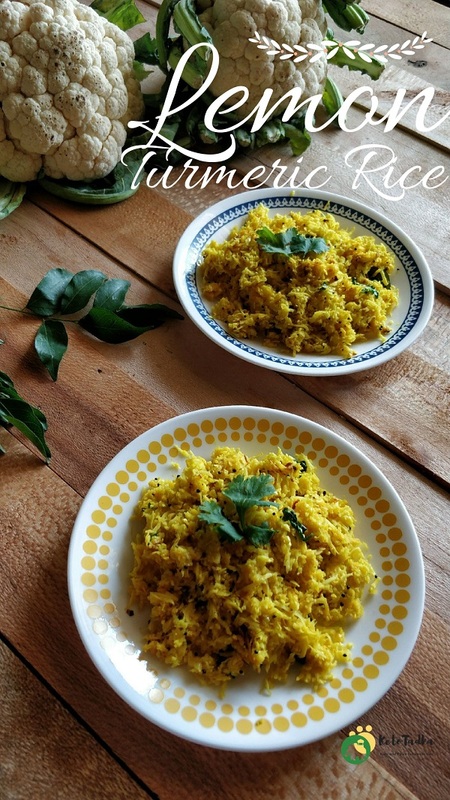 Fluff the rice with a fork and garnish with coriander and some fresh coconut if you have. Need help with some recommendations? I use this food processor for almost everything. This is a mini one and as I have a grinder at home; I bought a mini one which is used for grating the cauliflower rice-like, to whip, blend, etc. If you want to buy it, click the image below- It will take you to amazon. Ketotadka is a participant in the Amazon Services LLC Associates Program, These affiliate advertising programs are designed to provide a means for sites to earn advertising fees by advertising and linking to amazon.in . If you buy something clicking the images, I get small commission with no additonal cost to you which helps to keep the content free on this site.